A unique one-month program in Prague which includes constant football training within language courses. The program is focused on Czech language study and active way of spending time in summer – football trainings on the fields of the best football club in the Czech Republic The Prague Sparta (www.sparta.cz), the constant participant of the Champions League, Europa League, Football Association of the Czech Republic (www.cmfs.cz), and NIKE. The unique program in football academy is aimed at groups well as individuals! To participate in this program you might be a professional football player or a beginner. This program can vary depending on professional abilities of the players. 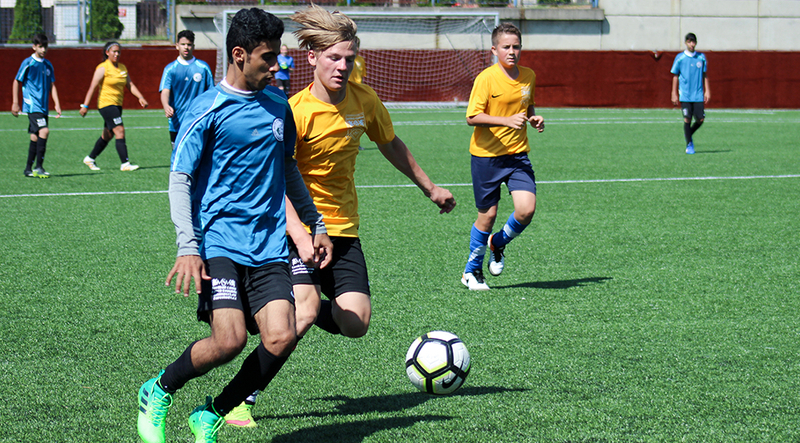 In summer football camp the participants will have a great opportunity to try theirs skills in professional football, playing on the fields of one of the best European football clubs. This program helps young people to improve their football skills, to meet real football stars, to gain invaluable international experience as well as get positive emotions! The trainings are held by professional coaches with the opportunity to use infrastructure in the club. Games and trainings alternate with active cultural and educational programs. After finishing the program participants will get the certificates from the club. This international program is planned for young people from all over the world.